Looks great! By when do you expect it will be ready to try and no longer a work-in-progress? Hours, days, weeks, months, or years? the time for getting the new revision (4layers custom IFA), so i can compare them. But so far so good working fine, can't wait to get the the new rev. 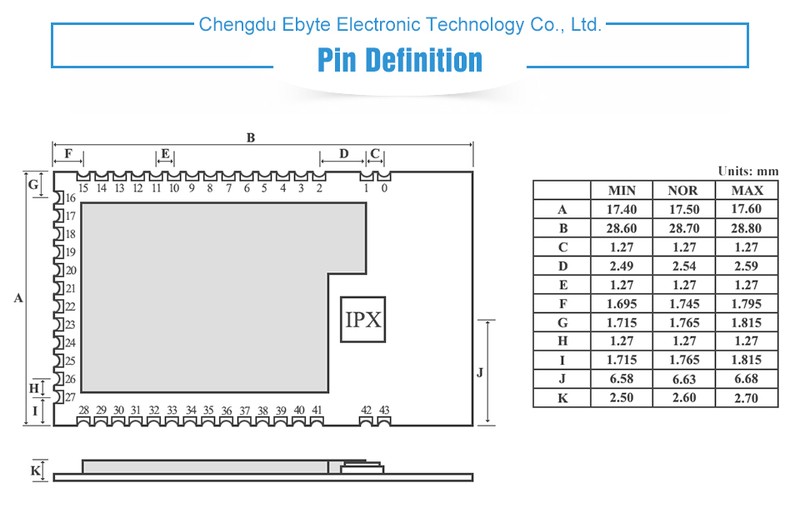 In the mean time, i'll also ask for a pcba quotation in case, for 1) basic circuit board only 2) Enhanced with sensors. Now, you know our current favorite setup..Halo, Aeos, a bit of rfm.. + a few others goodies..
@scalz Wow, that looks really exciting. I guess this explains why you have been so quite, you have been very busy. @scalz Beautiful! I do want a PCB! no i'm using Raytac MDBT42Q for proto and rev1. And the rev2 (lol), no module, it is directly using the ic. To clarify a bit why there are two revisions, i prefer to be transparent And i'm interested in your feedbacks! I won't talk about the prototype which has no sensors onboard. I designed revision 1, because i wanted to have sensors onboard and to have choice during assembly. I was curious to know the range of these modules. Made two different boards to compare layout. Followed the guidelines, tried to optimize gnd plane etc..
chip antenna not big range. Interesting i could cover almost the house, but at some spots i lost a few packets. not enough acceptable for me, or that depends when I would place it. Ok let's verify what i'm thinking. Unsoldered the chip antenna, and soldered a 31mm monopole antenna in place. Even if it wouldn't get so well tuned because of the hack, bingo, i almost doubled my range. Both boards have their pros and cons, so i keep both, that will depend on my usecases. What I especially like is the small size: 33x33mm. By comparison, Nordic's 52 Thingy is ginormous. Do OTA sketch uploads work? That would be another very nice asset for anyone who wants to play around with it. Wow again, this will make a pretty impressive platform for multi sensors and/or for advanced sensors. Microphone is a great addition for that with the processing power available. As you are usually obsessed with the extra uA to trim, I'm a bit surprised with your choice of hall sensor, did you miss the TI DRV5032 ? It costs peanuts and uses just 1/3 of the current compared to the Honeywell you have chosen. thx! Yep, that would be a lot of fun! don't tempt me too much with things like that! For the moment project is in progress, let's see if i feel there are interests, and if my RF board will be ok too but i have good hope. Of course, i'll do a simple mobile app for fun, asap! Lol, you got me! I missed this nice TI ref, you're right, thx They are same footprints, so not a problem. Also, with Aeos main board or the extension, it is possible to use a reed switch instead, and get no power consumption in both states (i've another project, and proto is working ok, will show this soon!, ). @scalz yes I have done the thing with the normally opened + normally closed switch for my entry door and after over 1 year voltage drop is only minimal on a Chinese CR2032. But I'm not a huge fan a the reed switch as they break too easily especially the NO+NC versions with 2 pins on the same side. i agree. reed switch need some care during assembly that's why i added hall effect. yep, honeywell aren't the lowest power consumption anymore, 1.8 still not so bad. Hopefully, the better TI sensor is footprint compatible. Just need to order some. As a future challenge for somebody, do you think a feature reduced version could be size reduced to a 23x23mm PCB? That's the size of the am612 PIR lens, and it would be a lot of fun to have a functioning wireless PIR sensor that's at the limit of super tiny. Looks as though 23mmx24.5mm, not 23mmx23mm, might (?) be the limit on PCB size because of the bore-holes for attaching the PIR lens. For PIR and battery, i have a preference for the bigger CR2450. I will use CR2032 for simple low power sensors everywhere i need variants of them, and they will all look the same shape. Then, I had to choose a coincell holder. regarding thickness, and size etc. And the most important point for the board : the antenna. PIR isn't a wearable (i exagerate, but wearable meaning short range), or a simple sensor reporting x min. Which antenna vs range ? Also, the clearance of the antenna (nothing under it..). GND plane size.. So the coincell holder and the antenna requirements almost fix the pcb size. I could choose a smaller but less efficient antenna, which would need more tuning, or could be prone to detuning regarding different enclosure and usecases. That could reduce the board size of a few mm. Instead i've decided to bet on a more efficient antenna, so less debug (only have a spectrum analyzer..). I thought : aestetically or discretion, of course I didn't want 40x40 board, but does it really matter to me if my board is 25x30 or 33x33 ?? Am i doing the contest of the smallest wearable PIR ? (saying this because, indeed, i previously designed a smaller board for PIR, but chip antenna, smd PIR+dedicated lens=more expensive, and there wasn't pinheaders, just programming pads. less versatile. Whereas, I can hack Aeos and extend it). That plus some others variables, made me choose for this shape.. There is, of course, no single perfect solution for everything. Once you start pushing the limits, the trade-offs start to become more apparent. That's what makes this an interesting hobby! One could possibly cheat the coincell holder issue by using a tabbed coincell. That may or may or be a desirable trade-off, depending on your goal, but it might free up some real-estate. Maybe if the antenna could somehow be pasted onto or formed into the enclosure box, maybe that would work too. Just trying to figure out if there might be any ways around the obstacles you've noted above. Do you have used an simple wire or something else? @scalz Will your Aeos be communicating with another NRF52? Do you already have code for that? Or will it be connecting with a phone over bluetooth, which is what I'm just now discovering is what most of the existing demo code for the NRF52 seems to focus on. yes sure. For example, in Mysensors, I have now 4x nrf52 nodes (aeos and other custom boards) talking to esp32+nrf24 gw. So, NRF52 <-> NRF52 and NRF52 <-> NRF24 are working well, and you can simply use Mysensors examples and set the defines, that's all, nothing more to do, it's transparent. Thx to the Mysensors NRF52 ESB port, pretty cool. For bluetooth, I've started to take a look for a simple BLE phone app too, for fun. That said with BLE available, we could get nice features in Mysensors.. Finally, little sidenote about my simple range tests. They were quick, not in ideal conditions, but gave me an indication. as a BLE beacon, and was checking the rssi with a phone app. Not a precise test as rssi is not linear. with Mysensors. A simple counter was sent to the gw and i was looking for missing packet. I'll do more tests of course because some variables can change the results (like if it is in enclosure depending of wire antenna or not, orientation ..). For example, I will check pcb antennas by testing communication between two identical nodes. @scalz Have you checked if there is a difference in range between NRF5_1MBPS and NRF5_BLE_1MBPS data rate? @scalz Thumbs up for a 2450! You have it on your other sensor and I'm using it for PIR is makes sense. 2032 is fine for a long sleeping sensor, but PIR will drain it very quickly. Congratulations. Very nice concept. But I understand nothing about the range. Is it comparable with nrf24 or is it by a decade more? If you're wondering about nrf24 vs nrf52 range, i've not tested this, i'll do that as soon as i get my custom antenna version of the board. Because comparing a nrf24 module with pcb antenna Vs nrf52 with a chip antenna or an untuned wire antenna isn't a valid test, I think. @scalz have you seen this module ? It's very nice that they offer up the info needed to create the land pattern. That info seems absent from quite a number of the aliexpress modules. Yes, still an interesting improvement And i have powerful multirf boards too so..
Well i think you know it, but range is not so easy to compare, that depends on a lot of factors like datarate, ant, enclosure etc..
Module is too big regarding my board and all what's embedded. I also wanted a stronger antenna. This kind of meandered antenna, often the same for wire antenna though, may be prone to some detuning (regarding enclosure, environment etc.) and loosing some efficiency etc. So maybe not the full range, can be a lot less, depends (100m for this module in datasheet). But yes i agree with you 328p too limited, obsolete imho, "end" of nrf24 lol, and atsam is nice depending on the usecase. Personal view of course! But I think I'm still about to make one last 328 board to make a really small and low power sensor. Thanks for posting that. I just now ordered some. However, they may not arrive until September! Yowza. That means their shipping container is practically a time capsule. One quick thing: I've started a PCB layout for this module. From the looks of the pictures on the e-bay listing, I'm assuming pins 0, 1, 2, 42, and 43 are all Ground. Is that your interpretation also? @NeverDie hmm.. guys could you open a new topic regarding your nrf52 module please? Else that will be a mess here Thx! @Nca78 will upload some sch, was busy..
And a simple pcb for quick reprogramming the first time (as the next times it will be through OTA). And a simple pcb for quick reprogramming the first time (as the next times it's through OTA). OTA ? Is a bootloader already made ? There are some stuff already existing though. You can take a look at Adafruit nrf52 board, they have a bootloader for BLE, and their sch can also help you to understand how the above module is working in case. Regarding Mysensors OTA etc, stay tuned.. It would be nice if you can enable OTA. The DFU bootloader is placed at the top of Flash. This region conflicts with the NVM driver. You have to move the used Flash region. At the moment I have no time to work on an bootloader. If you want to discuss things you can contact me. Here is a pic of Aeos rev 1.0. (the revision with 4layers and custom antenna for better perf, but not tuned yet). With a simple adapter to my segger OB for programming it, or ftdi and some IOs. (actually playing a bit with ble for a change). Need to print a box! I hope we'll see the Aeos soon. It should help stimulate interest in the nRF52832. thx for reminding me it's still working well.. but been distracted. Sorry for those who are waiting. I needed to have some fun with my HA setup. Would you be able to post the files for this project now? Great project! When can we expect the project files to be available? @scalz just found this project. It looks amazing! Is there anything we can do to support the progress? thx for interests. I'll release this project and a few others maybe, at same time as my Halo gateway. to make a prez if possible. asap. Sounds good to me! Thanks a lot for your effort!